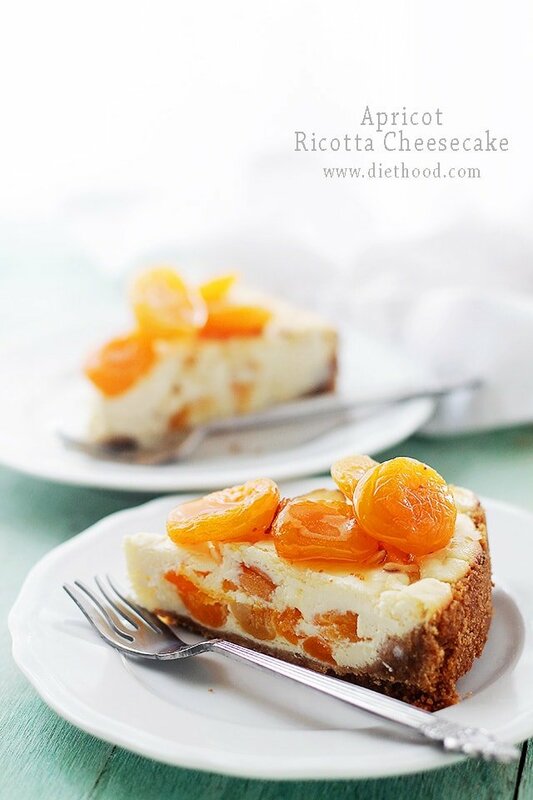 Apricot Ricotta Cheesecake: This light and fluffy Ricotta Cheesecake is sweetened with honey and packed with delicious chunks of apricots. Welcome to *unintended* Ricotta week. Ricotta Cake on Monday and Ricotta Cheesecake on Wednesday. Not too shabby. You know how it’s summer and 80+ degrees out there? And you know how you can get a nice, sweet tan if you linger around the sun’s warm rays? Well. Not me! I’m the gal that went to the tanning booth, instead. I normally do not fake and bake, EVER, buuuut I have this amazing weekend coming up in Scottsdale, Arizona, and because I am white as a ghost (no, I really am), I thought why not pay a visit to the good ol’ L.A. Tan! Don’t worry, I don’t play around – I requested the Ross-booth. “Friends” fans, you know what I’m talkin’ about. So there I was, laughing hysterically the entire 3-4 minutes that I was in there. All I could think about was Ross. I laughed out loud and because of that, I have to go back to the booth tomorrow. Apparently, you’re supposed to keep a straight face to avoid untanned, white smile lines around your mouth and eyes. HA! In other news. Did you know that today is National Cheesecake Day? Yeah, it is! For that reason, I think we’re obligated to treat ourselves to this creamy deliciousness I like to call Apricot Ricotta Cheesecake. IF I was A food, I’d definitely want to be celebrated as a cheesecake. Sweet, smooth, layered and creamy – yep, I want to be a cheesecake. And according to the list below, a gazillion, fantastic food bloggers agree with me! We all came together on this day to celebrate our undying love for Cheesecake. This recipe is much like any other cheesecake recipe, however, I made a couple of swaps to keep it on the lighter side of things. It’s still bikini season – almost impossible to cover up the bulge, thus I’ve been messing around lately, looking to lighten up everything under the sun, and somehow things are working out. In fact, happy to report, things are turning out deliciously! Taking this sweet stuff out of your oven will have your heart singing and toes curling. It’s creamy, dreamy, and you have to wait 8 hours before you can bite into it. I served this cheesecake with a handful of dried apricots on top, some sliced almonds on top of those, and a whole lotta honey all over! 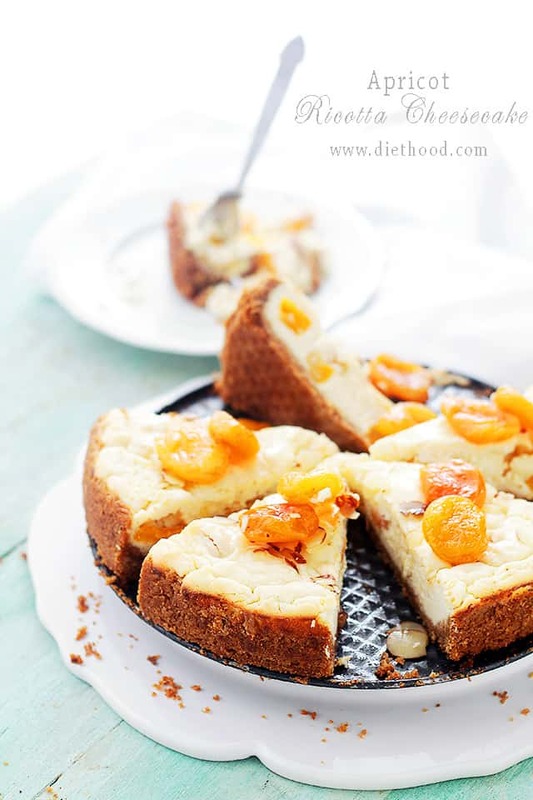 This light and fluffy Ricotta Cheesecake is sweetened with honey and packed with delicious chunks of apricots. Combine ground graham crackers and melted butter In a 9-inch springform pan; shape the crust into an even layer on the bottom of the pan and press it about 1-1/2 inches up the sides. In your mixer's bowl, combine cream cheese and ricotta; beat until creamy and smooth. Add eggs and honey; continue to beat until thoroughly combined. Beat in corn starch and vanilla until incorporated. Pour the mixture into previously prepared crust. Bake for 32 to 35 minutes, or until edges are lightly browned and firm, but center is soft. 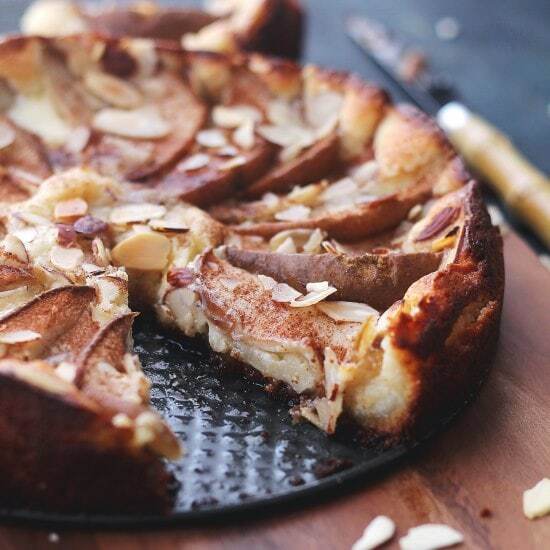 Garnish with apricots, sliced almonds and honey. This is such a pretty cheesecake. I love apricots. It sounds so good! This is such a winner! I’m definitely pinning it. What a perfect way to celebrate cheesecake day! What a coincidence – I have ricotta in the fridge right now *and* I love cheesecake. I don’t bake often with apricots, which is a shame because this cheesecake is gorgeous! Katerina, this cheesecake is gorgeous! I love how light and fluffy you got the texture and how it’s absolutely studded with delicious apricots. Beautiful! Loving this cheesecake! So gorgeous and delish! Someone else had apricot on the brain too. This sounds yummy! Pinned! Ricotta week is just fine with me, this is one seriously gorgeous cheesecake! This cheesecake is all over my pinterest feed which makes me want to cry all.the.time because it is ot in my mouth :'( Gaaaaah it looks so amazing! Ricotta anything is a winner and apricots are simply fab! Ricotta–love your subs so much! 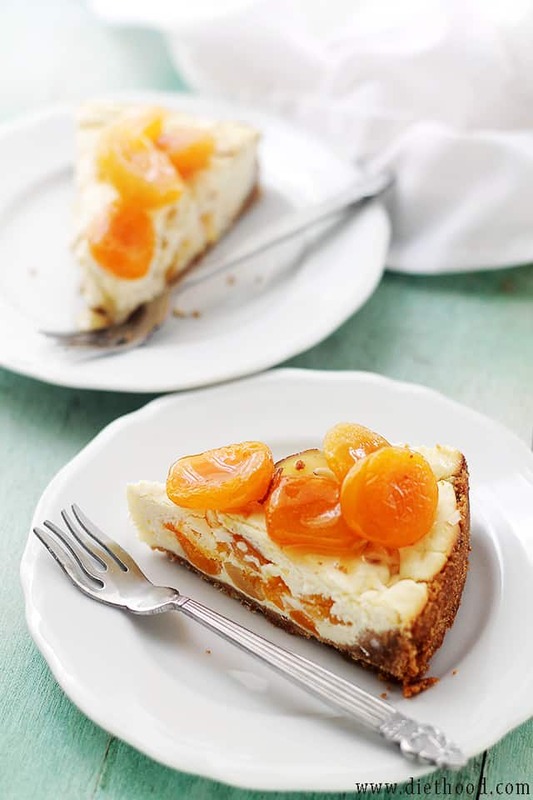 I’ve only ever made run of the mill cheesecake so I love the idea of options…and apricots, of course! What a wonderful way to celebrate today with ya! This is gorgeous! It also sounds like of like breakfast. I can eat this for breakfast, right? Apricots, almonds, honey. I mean it’s practically granola. I need me as love of this tonight!! Love the chunks of apricots!! I’m firmly behind Ricotta week!! And this is just simply beautiful. This is the best day ever. They should just rename today “Plant your face in cheesecake” day. 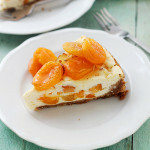 Never thought of using apricots in cheesecake, but your photos are so beautiful I need to try it! This is totally my kind of dessert! So delicious! Apricot ricotta?! Oh my goodness .. love this cheesecake!! MAMA. I need this cake in my life. I never think to use apricots but I really like them, that is gorgeous looking!! You know I can’t stop laughing now! Ross-booth :))) I hope you don’t get tanned with laughing lines on your face. 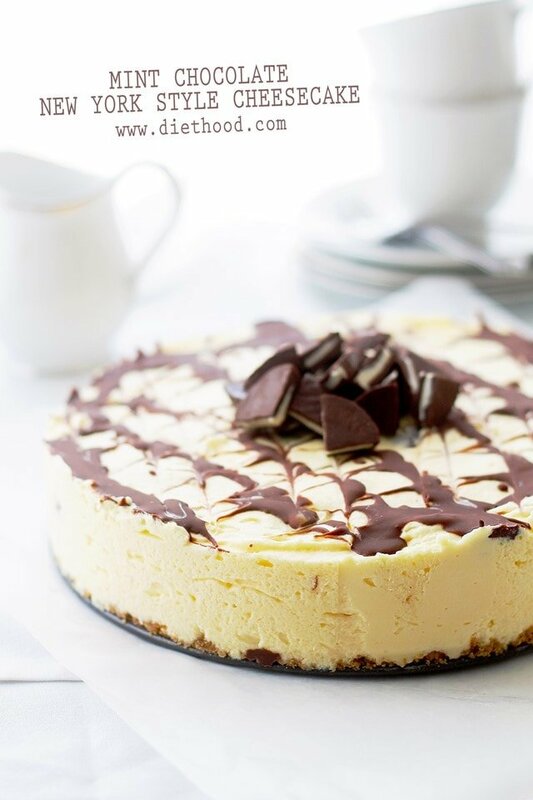 Thanks for sharing this cheesecake recipe Kate! It’s so pretty and love the dried apricots! Girl that cheesecake is amazing!!!!! I can’t stop staring at it! It’s national cheesecake day? Like I even need an excuse to go make this beauty right now. Sounds and looks incredible Kate!